Fast award-winning antivirus for desktop PC allows you to confidently explore online. 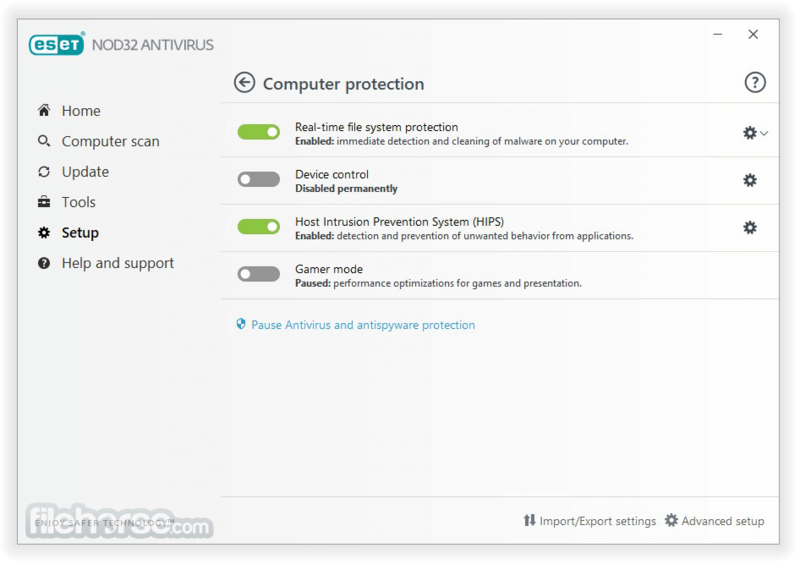 ESET NOD32 Antivirus features new advanced technology that protects against threats as well as browser and application exploits. Anti-Phishing module protects you from fake websites trying to acquire your personal information. The new Social Media Scanner extends security to your Facebook and Twitter accounts by checking for malicious content. Included Cybersecurity Training teaches you tips and techniques to make your online experience safer through a series of online educational modules. 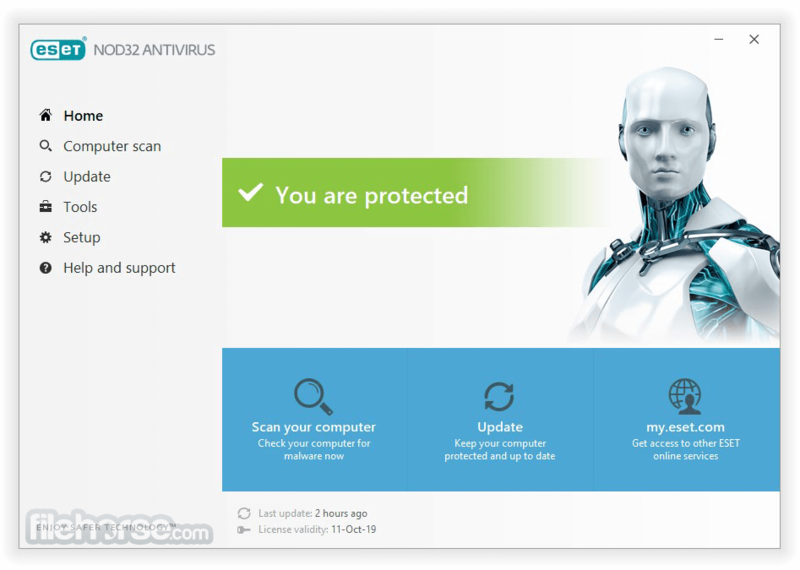 ESET NOD32 Top Antivirus is the award-winning ESET antivirus built for Windows–it includes antivirus, anti-phishing and cloud-powered scanning. Try now for free! Speeds up scans by whitelisting safe fi les based on fi le reputation database. Protects you from malicious content and lets you easily manage the visibility of sensitive private information on social media. Deliver constant level of protection against emerging threats, 24/7. Note: 30 days trial version. After expiration of the trial period, NOD32 has to be uninstalled or purchased.